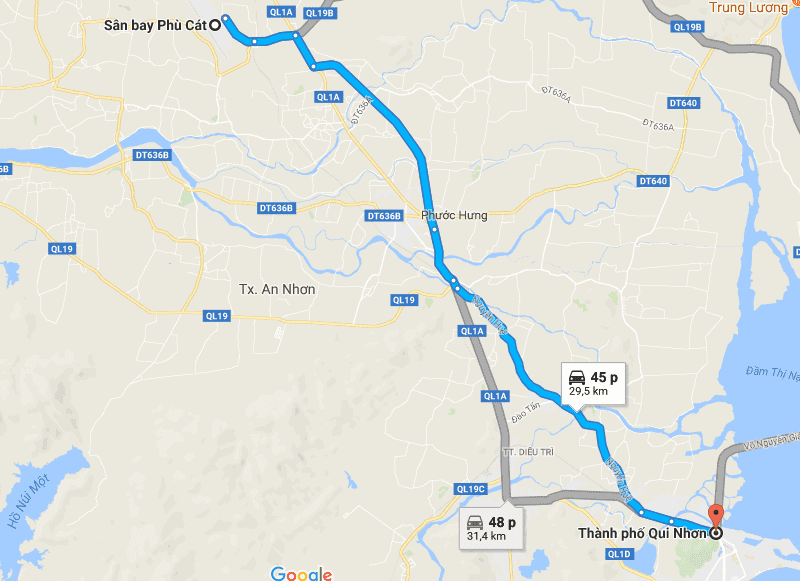 >>> How to get from Cat Bi Airport to Hai Phong ? 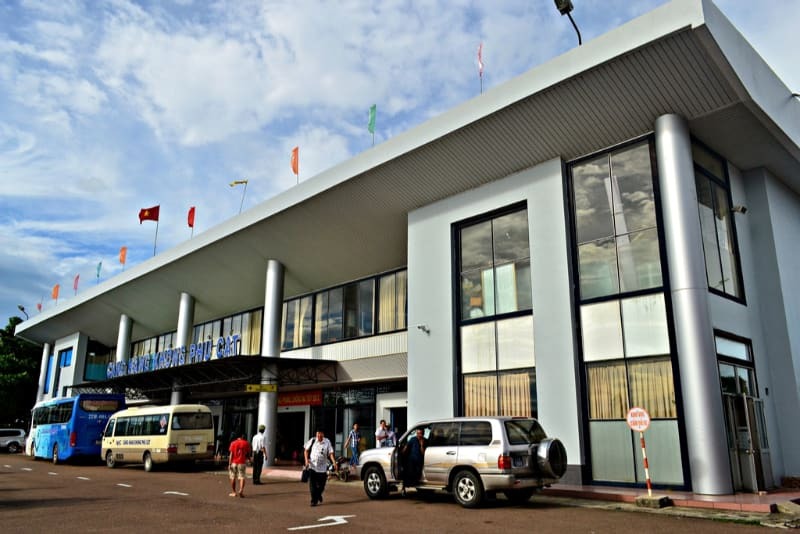 Phu Cat Airport (UIH) is the airport serving Qui Nhon, Vietnam. It usually serves domestic flights from Qui Nhon to Ho Chi Minh, from Qui Nhon to Ha Noi and vice versa. There are 3 popular airlines such as Jetstar Pacific, Vietjet and Vietnam Airlines, which are exploiting this airport. The distance from Phu Cat Airport to Qui Nhon city center is about 29.5 kms (Google Map). For your trip in Quy Nhon, let Dichung introduce you how to get from Phu Cat airport to Quy Nhon. How to get from Phu Cat Airport to Quy Nhon city? Taxi is possibly the fastest and the most convenient way to travel from Phu Cat airport to Quy Nhon city but the price is quite high. If you intend to move to the Hue city center by taxi, you can refer to the phone numbers of the taxi companies below. In addition, if you do not want to negotiate on taxi fare, you can book in advance a taxi from the webiste of Dichungtaxi. To book directly a taxi from Dichungtaxi, you can click here. Shuttle Bus service is available from Phu Cat Airport to Quy Nhon and vice versa. Price: 50.000 VND/ 1 pers. They only drop off passengers at 1 Nguyen Tat Thanh Street, Quy Nhon. 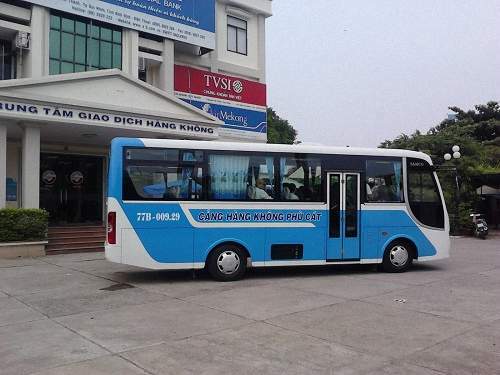 To take this bus to Phu Cat airport, you should go to 1 Nguyễn Tất Thành before flight time about 2.5 hours. *However, if you travel in groups (>5 person), it would be cheaper and more comfortable to take a taxi. Besides that, taxi will drive to your hotel or as your desire. If you've read this far, DichungTaxi hopes that you have found useful information for your arrival to Quy Nhon city. Founded in 2013, DichungTaxi is an online booking service across Vietnam. In 2017, DichungTaxi is available in 20 Airports & 40 cities across all Vietnam. How to find a teaching job in Vietnam?